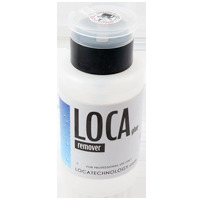 LOCA glue remover 200ml is a high-quality liquid for removing adhesive residue of cured LOCA/OCA from LCD/OLED. You need to apply a thin layer of liquid and wait 40-50 seconds and then remove the adhesive from the display. If a large amount of superglue has to be debonded, it may be necessary to apply extra debonder until the joint comes apart. The bottle contains a pump, just touch the cloth and press. 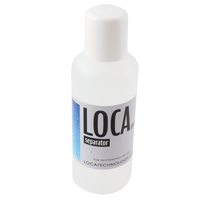 LOCA Glue Separator 200ml is helpful in separating the LCD display from the body of the smartphone/ mobilephone. Just soak and remove the LCD without damage. 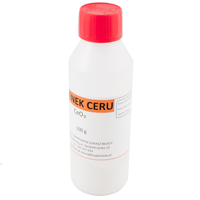 Cerium oxide CeO2 for glass polish - 100g great use for cerium oxide is polishing out glass scratches and the process is quite simple. First you need to determine how deep the scratches are - if you can feel the scratch when you run your fingernail over the area, it is likely to be too deep to polish out easily. In these cases, you will need to grind it down before polishing. If the area feels smooth, you can go straight to polishing. Glass Cleaner - 250ml efficient foam for cleaning all plastic surfaces (computer monitor casings, TV sets, window frames, computer equipment, etc. ), removes dust, fingerprints, stains, fat, nicotine sediments etc. leaves no streaks. 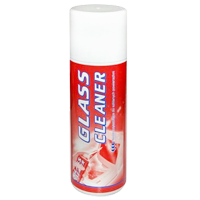 Glass Cleaner - 400ml efficient foam for cleaning all plastic surfaces (computer monitor casings, TV sets, window frames, computer equipment, etc. ), removes dust, fingerprints, stains, fat, nicotine sediments etc. leaves no streaks. 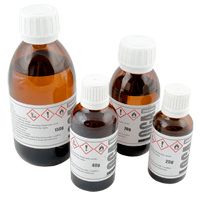 Glue Remover for LOCA/OCA LCD is a high-quality acrylic-based liquid for removing adhesive residue of cured LOCA/OCA from LCD/OLED. You need to apply a thin layer of liquid and wait 40-50 seconds and then remove the adhesive from the display. If a large amount of superglue has to be debonded, it may be necessary to apply extra debonder until the joint comes apart. 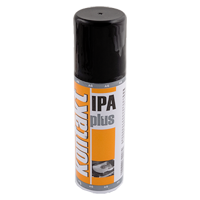 KONTAKT IPA plus - 100ml This preparation contains isopropyl alcohol (IPA) of high purity, removes resinated oils and greases and other impurities, it is used for cleaning and protecting CD-ROM and DVD readers, optical devices, AV heads and mechanisms, chemically neutral to materials commonly used in electronic industry, leaves no traces. 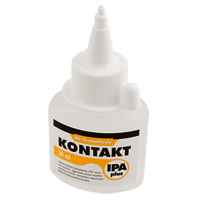 KONTAKT IPA plus - 50ml This preparation contains isopropyl alcohol (IPA) of high purity, removes resinated oils and greases and other impurities, it is used for cleaning and protecting CD-ROM and DVD readers, optical devices, AV heads and mechanisms, chemically neutral to materials commonly used in electronic industry, leaves no traces. 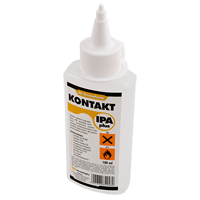 KONTAKT IPA plus - areosol 300ml This preparation contains isopropyl alcohol (IPA) of high purity, removes resinated oils and greases and other impurities, it is used for cleaning and protecting CD-ROM and DVD readers, optical devices, AV heads and mechanisms, chemically neutral to materials commonly used in electronic industry, leaves no traces. 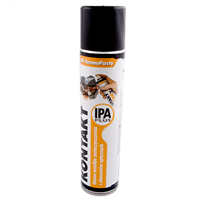 KONTAKT IPA plus - areosol 60ml This preparation contains isopropyl alcohol (IPA) of high purity, removes resinated oils and greases and other impurities, it is used for cleaning and protecting CD-ROM and DVD readers, optical devices, AV heads and mechanisms, chemically neutral to materials commonly used in electronic industry, leaves no traces. 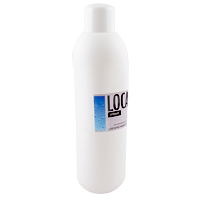 LOCA glue remover 1000ml is a high-quality liquid for removing adhesive residue of cured LOCA/OCA from LCD/OLED. You need to apply a thin layer of liquid and wait 40-50 seconds and then remove the adhesive from the display. If a large amount of superglue has to be debonded, it may be necessary to apply extra debonder until the joint comes apart. 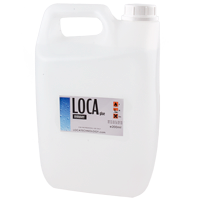 LOCA glue remover 5000ml is a high-quality liquid for removing adhesive residue of cured LOCA/OCA from LCD/OLED. You need to apply a thin layer of liquid and wait 40-50 seconds and then remove the adhesive from the display. If a large amount of superglue has to be debonded, it may be necessary to apply extra debonder until the joint comes apart. Polishing paste TEK P1 for touchscreens (10g) is slightly abrasive polishing paste to remove small cracks, scratches and matting of touch screens and glass of mobile phones, tablets, PDAs, watches and plastic as also metal housing electronic equipment. The composition of specially selected nanoparticles polishing facilitates, removes dirt and oxide raids on cleaned surfaces. The content of cerium oxide and kaolin allows for intensive polishing without fear of formation of scratches. Pasta contains the composition of the mixture of natural oils and carnauba wax, so that leaves a delicate polished surface hydrophobic layer that slows down the oxidation process. The paste is safe for polished surfaces. It does not react with 99.9% of the tested substrates. 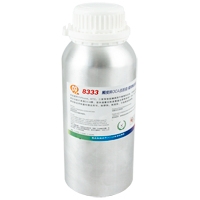 UV Glue Remover Adhesive Remover - 8333 750g is a high-quality acrylic-based liquid for removing adhesive residue of cured LOCA/OCA from LCD/OLED. You need to apply a thin layer of liquid and wait 40-50 seconds and then remove the adhesive from the display. 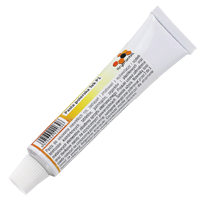 If a large amount of superglue has to be debonded, it may be necessary to apply extra debonder until the joint comes apart.